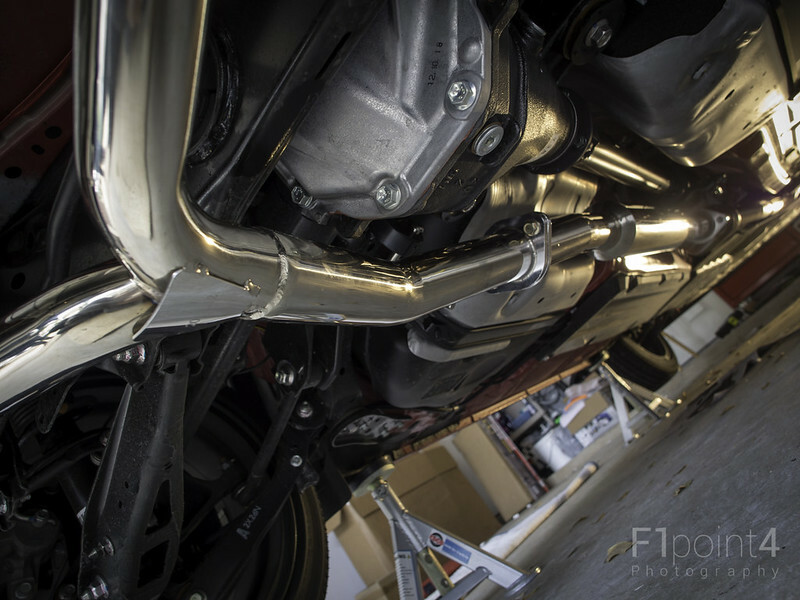 First off, I want to give major props and thanks to @F1point4 for providing his expertise in how to actually go about doing the exhaust install in the comfort of my garage space. 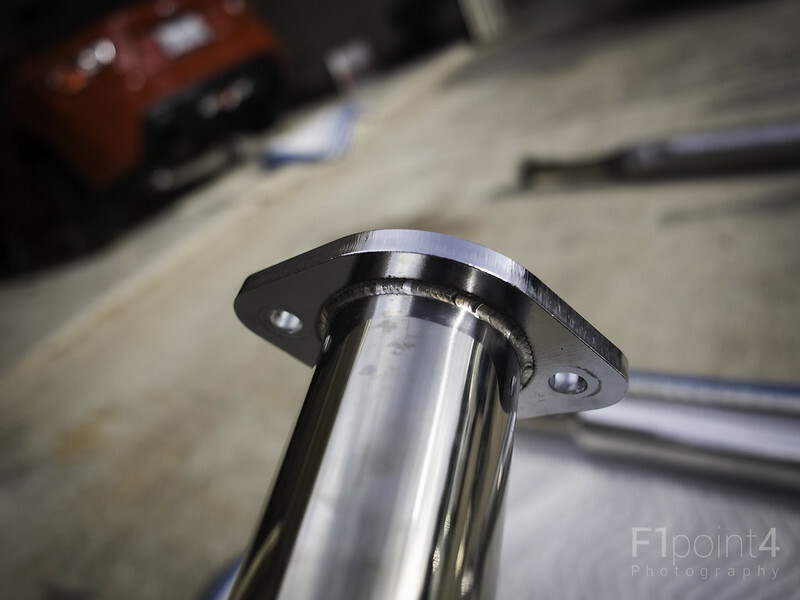 @F1point4 was gracious enough to assist, provide instructions and walk me through the parts list to make sure I had everything I needed to make the install as painless as possible. 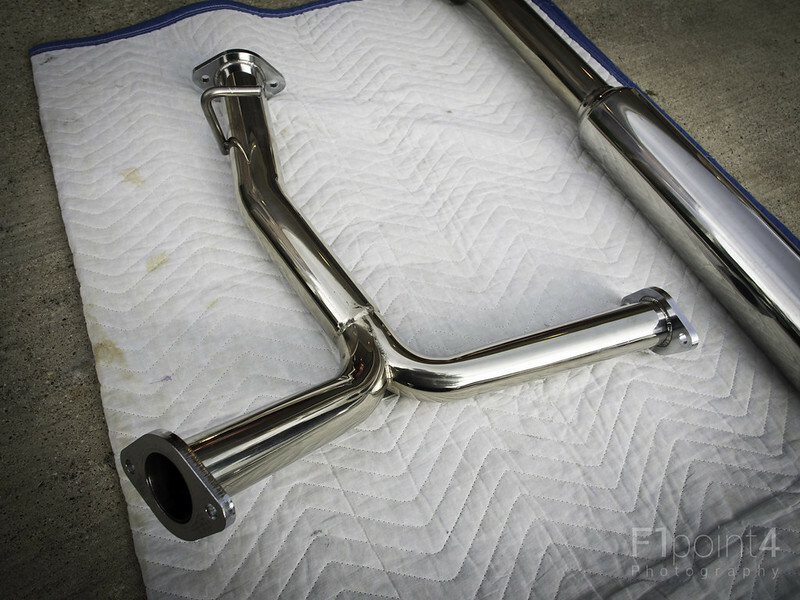 The exact exhaust I purchased is the @ZetaPerformance Catback Exhaust - Stainless with Titanium Tips. My car is an automatic. 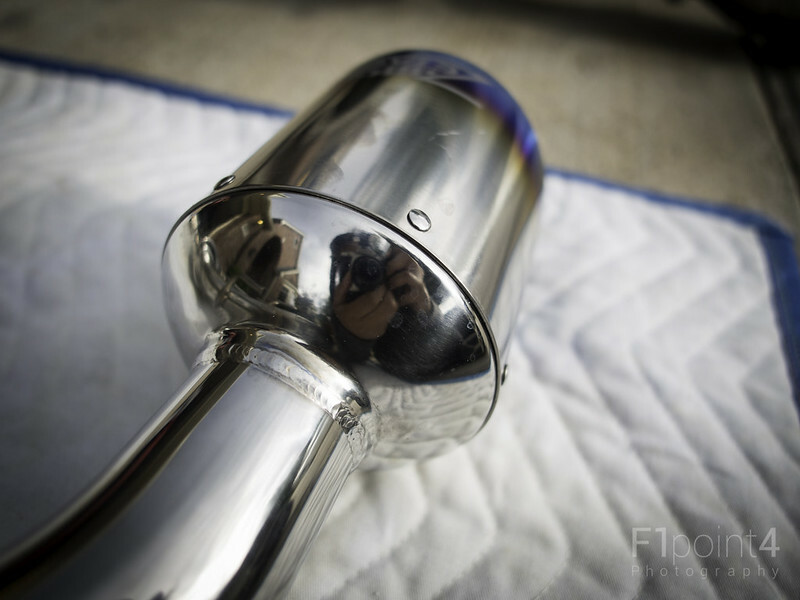 - The exhaust is very nicely made and has a nice stainless shine to it. 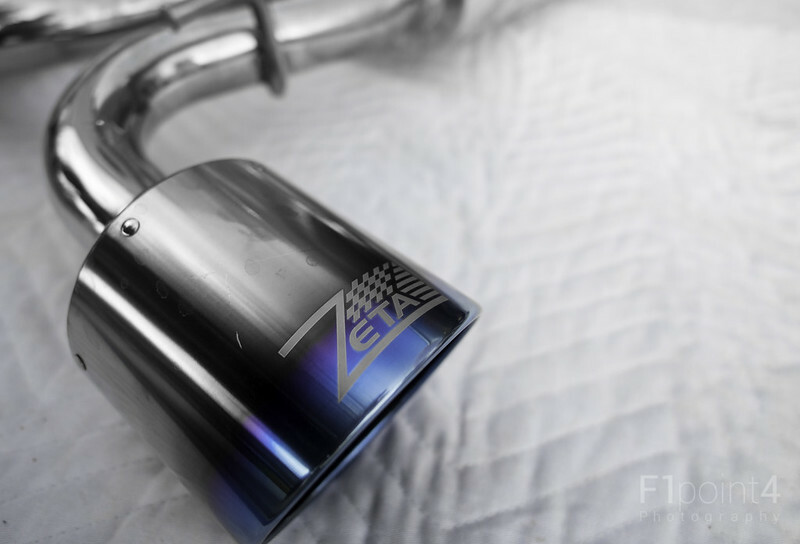 I have the titanium tips and the coloring is even on both exhaust tips and the blue is perfect and was something that I was looking for in an exhaust. I think Zeta did a good job on the titanium tips. 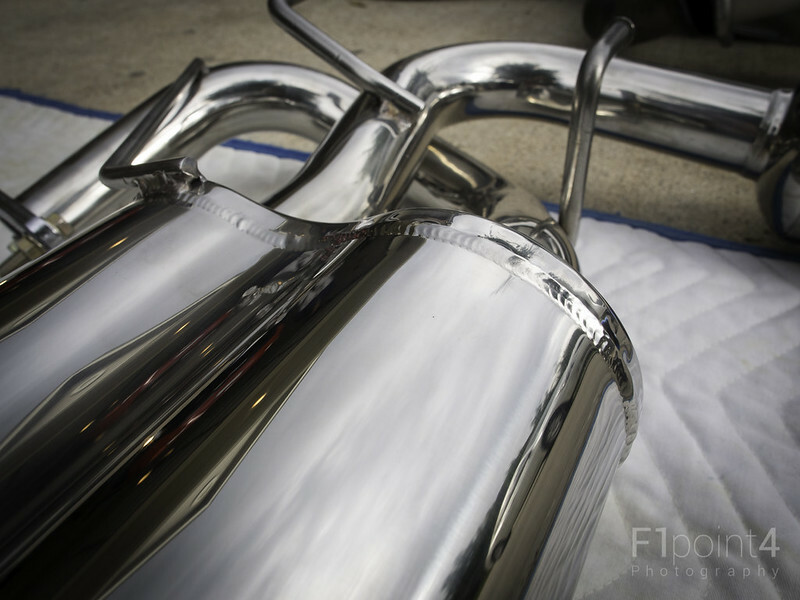 They are welded on the exhaust for those who are curious. I think their Carbon Fiber ones go over the regular stainless steel tips. 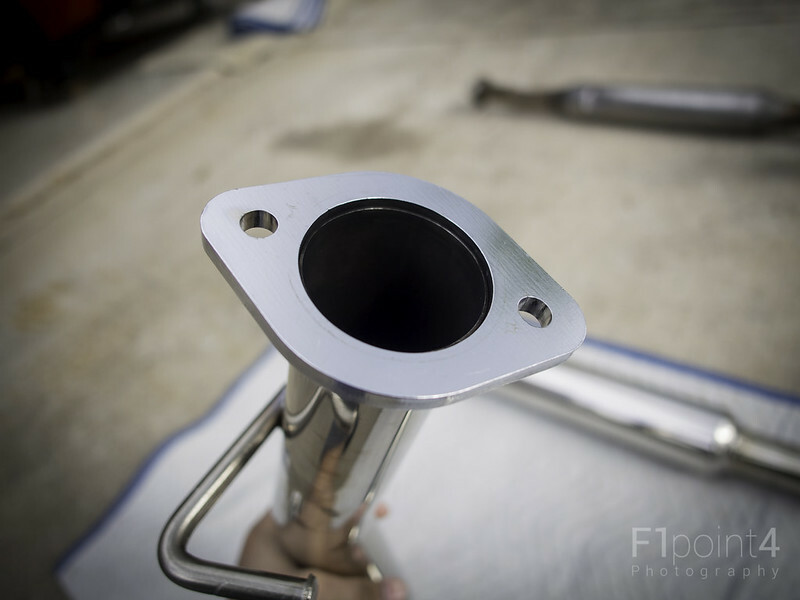 - The tubing diameter is 2.37" per Zeta and the exhaust tips have a 4.5" diameter. 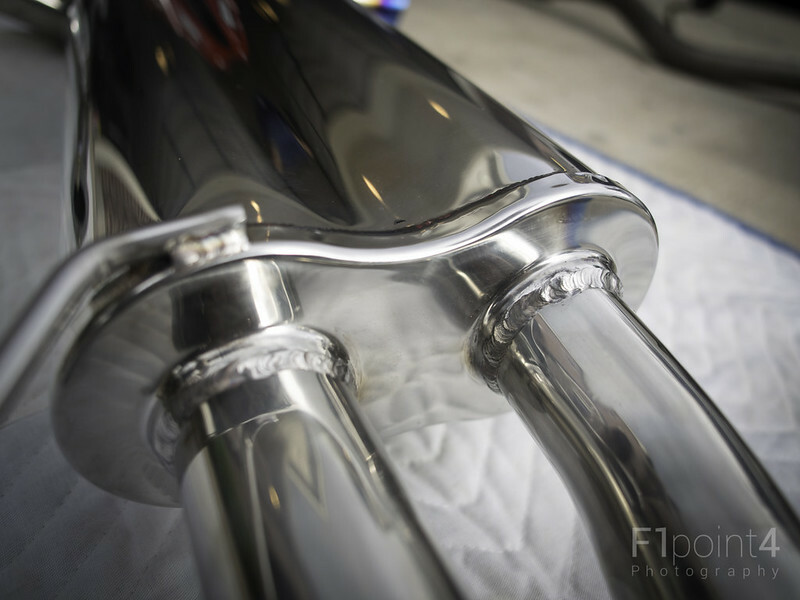 - The welding overall on the exhaust looks pretty good to my amateur eyes and @F1point4 agreed as well. 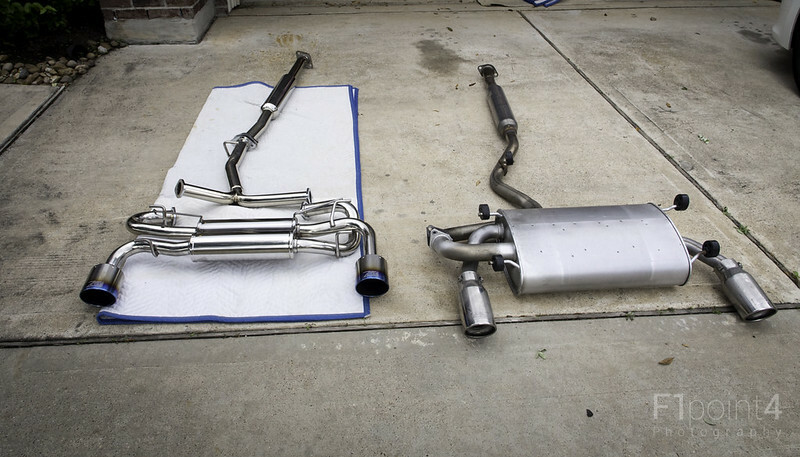 This was a plus for an exhaust that sells for just a hair over $600. 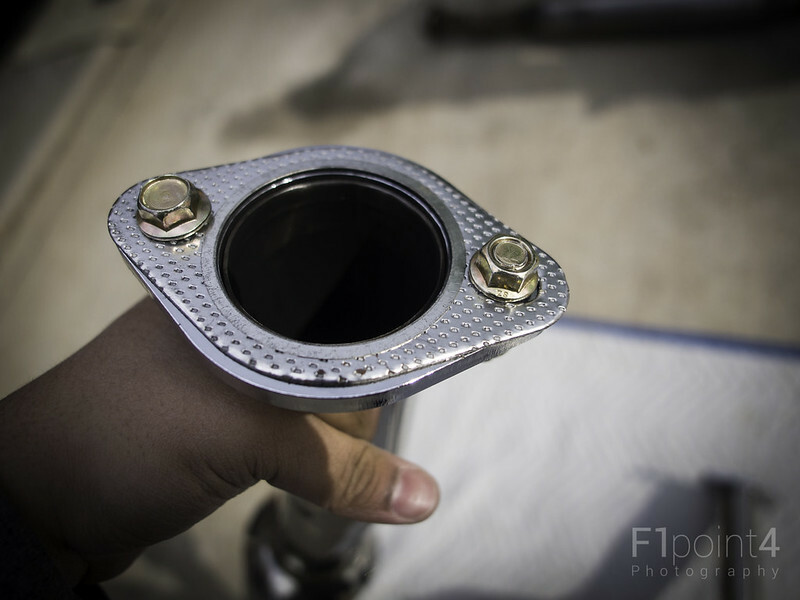 - They did provide three gaskets and 6 nuts and bolts in order to install the exhaust. You have to use the two spring bolts and nuts and the 5 hangers that are on the stock exhaust to install. 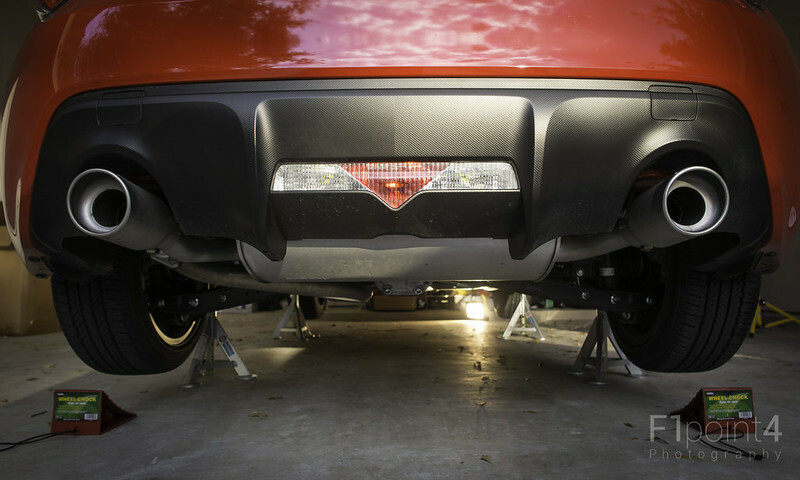 - Used a low profile 2.5 ton floor jack on the front then the rear to get the car on 4, 3 ton capacity each jack stands. - Loosened all the bolts and nuts and put them to the side. At this point, the front pipe comes off as it is not held on my hangers. - For the hangers we used to a soap and water mixture and sprayed it on the hangers to take them off. It was much easier to take the hanger off the car on all 5 of the hangers that I took off. 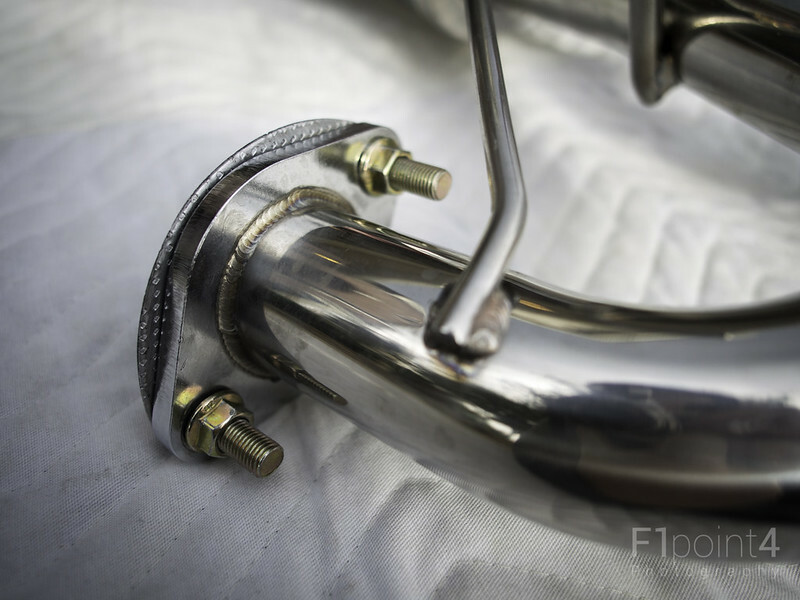 - The old hangers were taken off the stock exhaust and put on the Zeta exhaust pieces. 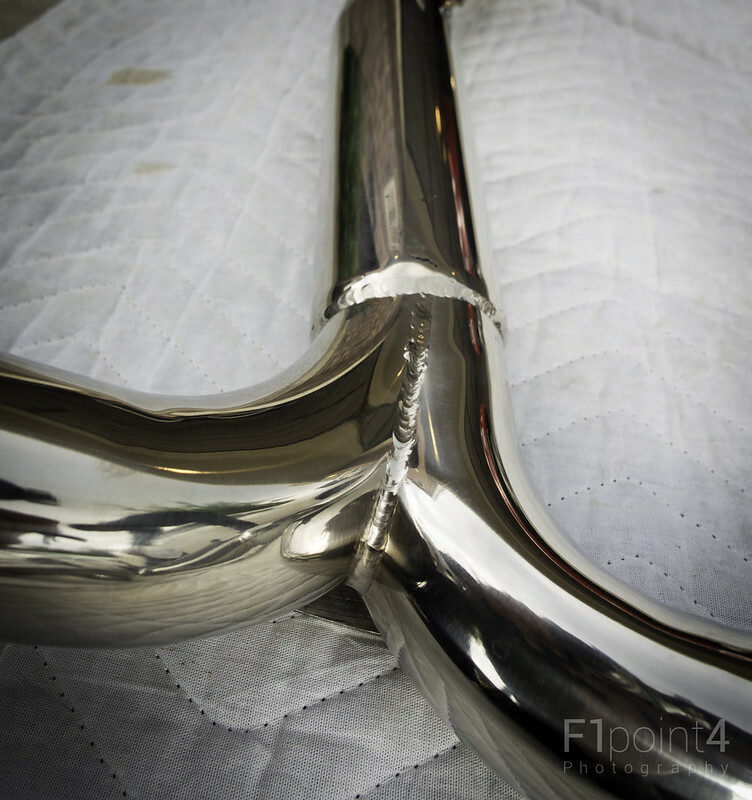 @F1point4 then helped me in getting the Zeta muffler hooked on by the 4 hangers on the muffler piece. This was much easier than it was to take them off but the soapy water did help tremendously. 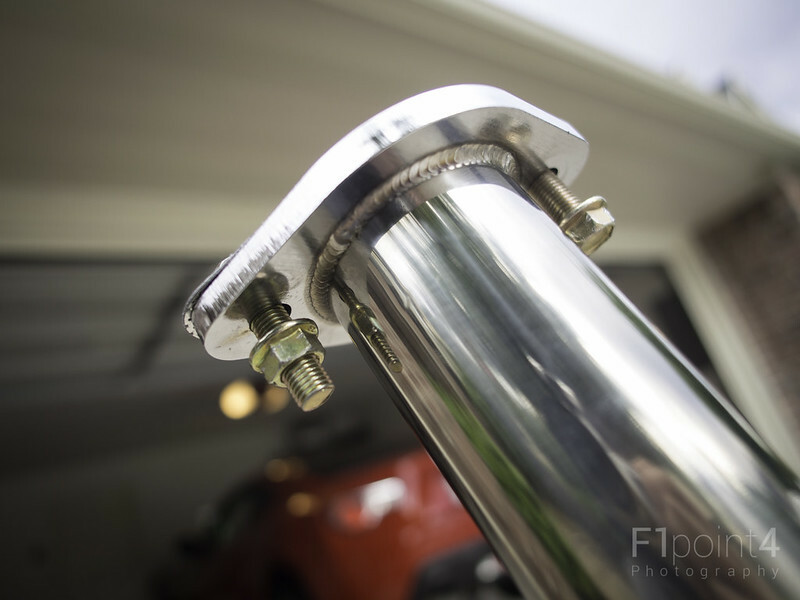 - The Y pipe was now hooked onto car via the hanger and the bolts were tightened with the gaskets between the connectors. 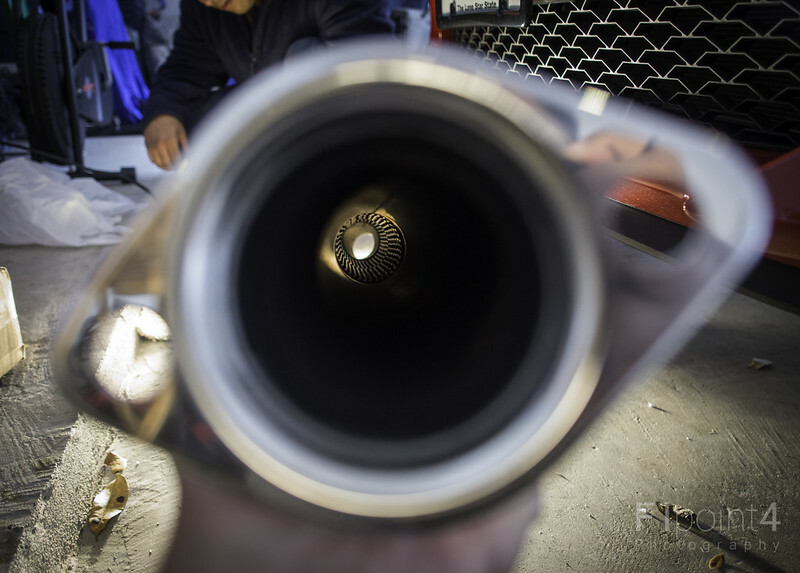 - The front pipe was then connected to the Y pipe and we adjusted slightly to connect up the front of the front pipe to the stock donut gasket. This process for someone who knows what they are doing like @F1point4 would take 45 minutes without the time to get the car on the jacks. I believe the install time was a tad over 2 hours and 15 minutes for us because of the fact that I am a noob when it comes to this install. Even then, a very good experience and definitely not a difficult install. 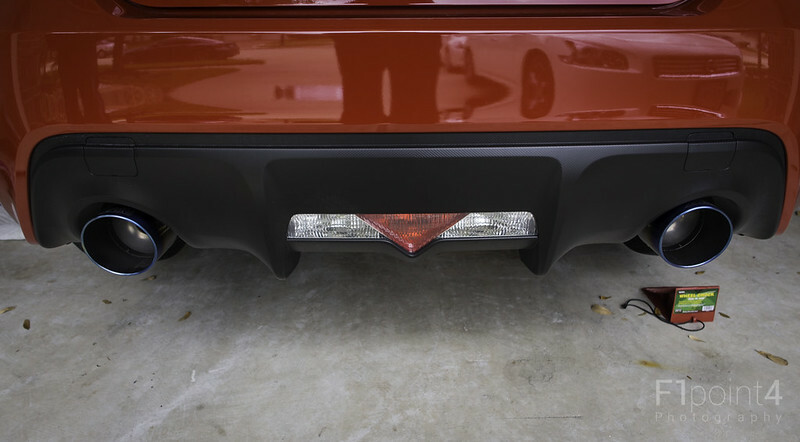 - @F1point4 and I were able to take the car for a short drive (15 miles) right after the exhaust was installed to pick up my Zeta Performance Carbon Fiber Spoiler from the UPS warehouse (more details/info to follow). - The exhaust sounds great at start up, has nice deep exhaust tone as @F1point4 pointed out. - When you start cruising it does quite up a bit but not too much. As soon as you do step on the accelerator, it does wake up with a nice exhaust note. 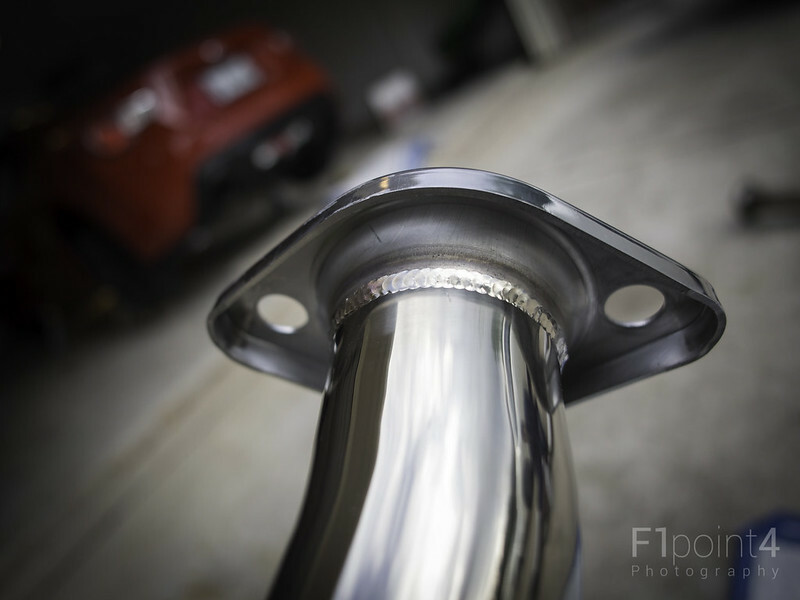 - I did have a 500 mile drive that weekend ahead of me so I knew Id get to hear the exhaust for a longer period of time and here is what I noted. 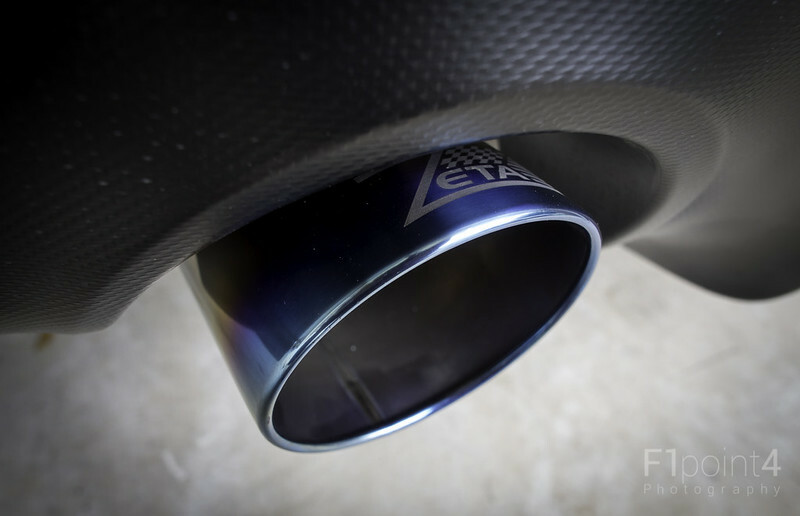 - The exhaust on the lower RPM's is easier to notice while in the car and definitely can be heard by people around you. - On the higher RPM's it does quiet down a bit but from cars driving near me, it is noticeable. Not extremely loud but enough to where there is no constant drone from the exhaust. - For a period of time, I was going around 90mph and the exhaust did get a bit louder but nothing that would give me a headache. 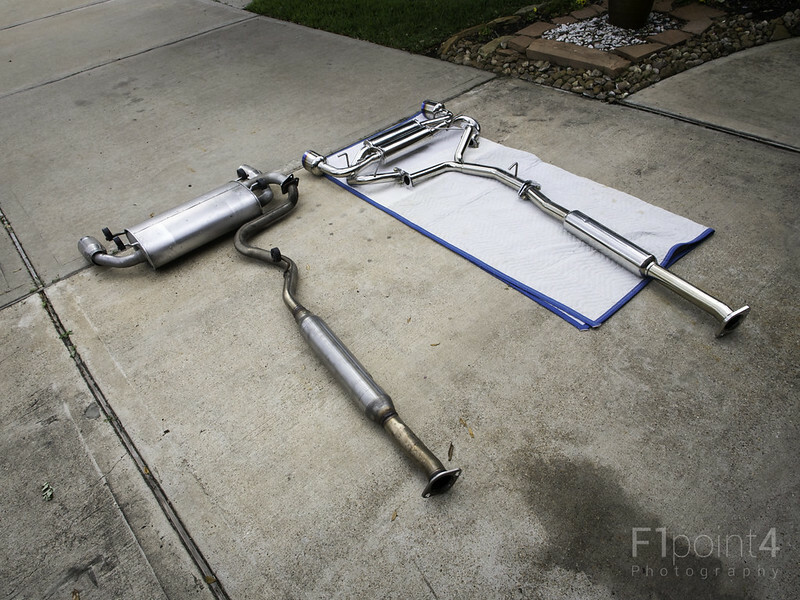 - Overall, two thumbs up for someone who, like me, is looking for an exhaust that won't break the bank but that would be put together well, have a nice deeper exhaust note but also something that wouldn't wake up the neighbors every morning or give you a headache while driving on the highway. Thanks again to @F1point4 for the pictures, the assistance and all the help in getting this done. Last edited by firestormriot; 04-22-2013 at 11:27 AM. Back with another quick look at more parts for the EightSix. 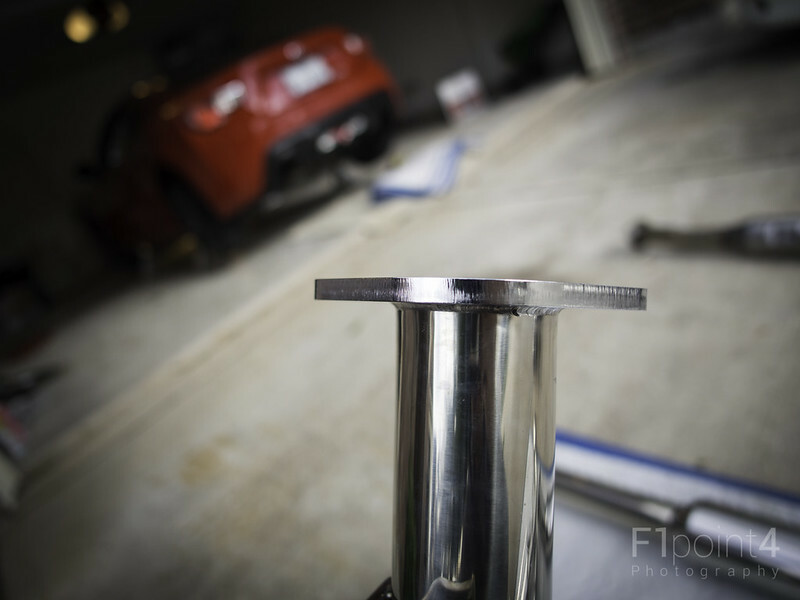 Recently I walked @firestormriot through his first major car mod...catback exhaust. 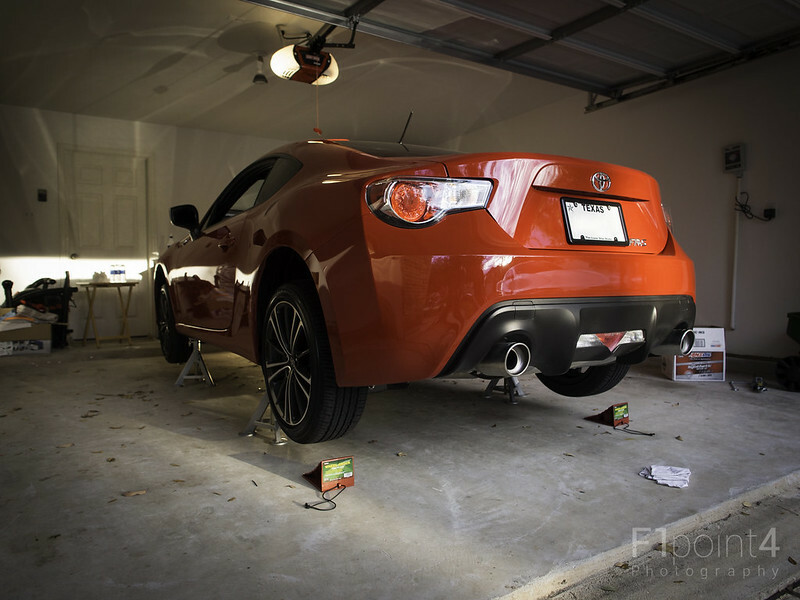 I advised him to get a catback exhaust because it is one of the best feel good mods you can do to this car. 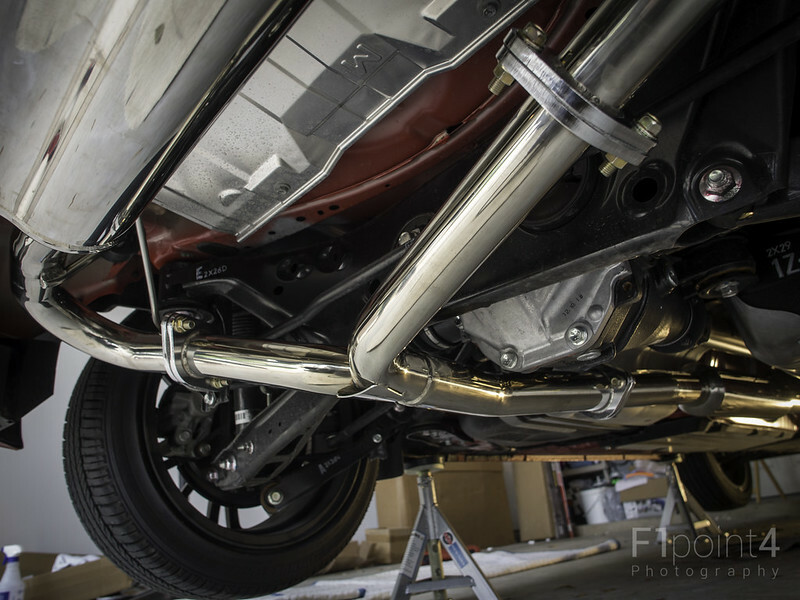 He researched and let me know he got the new Zeta Performance Catback Exhaust. 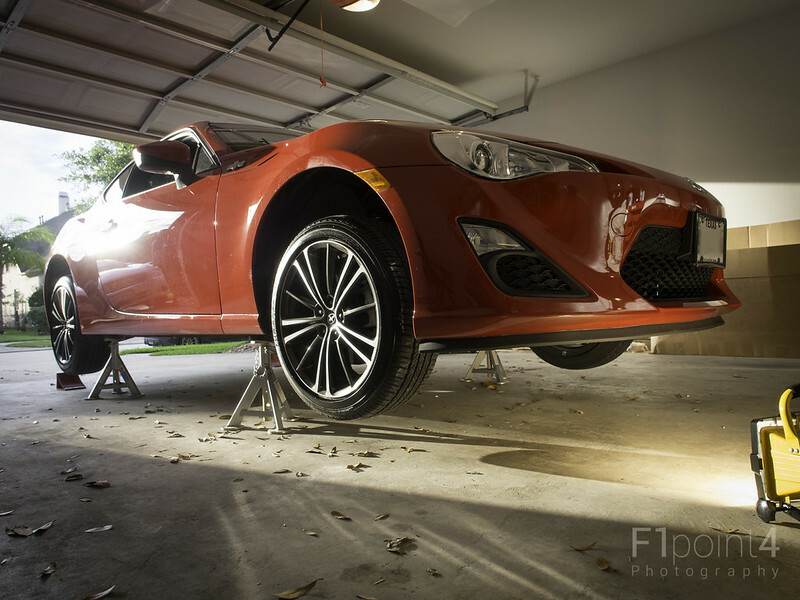 First time to have his car in the air. 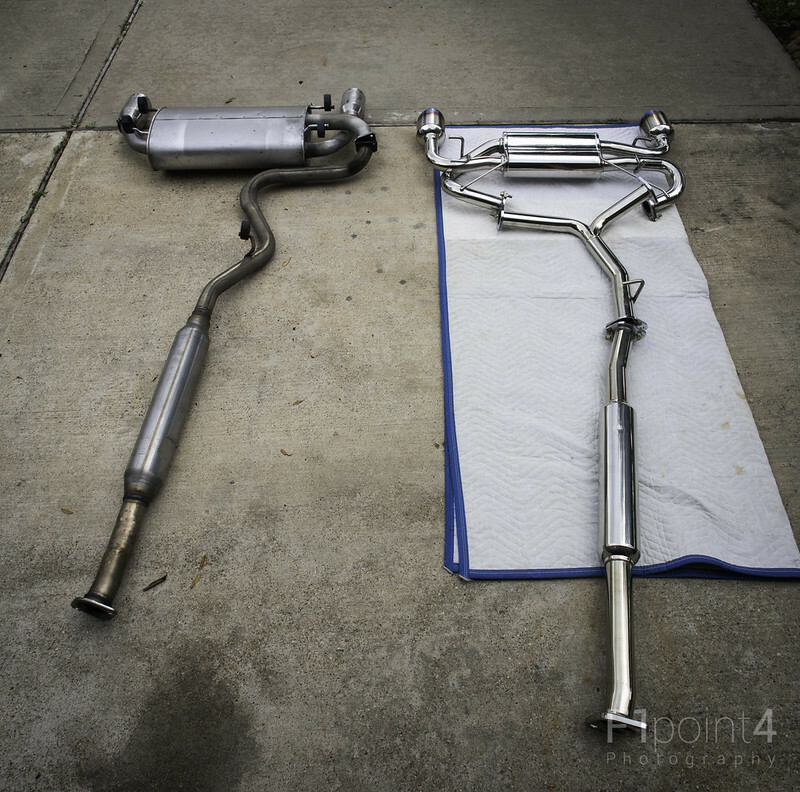 The OEM catback exhaust compared to the Zeta Performance catback exhaust. 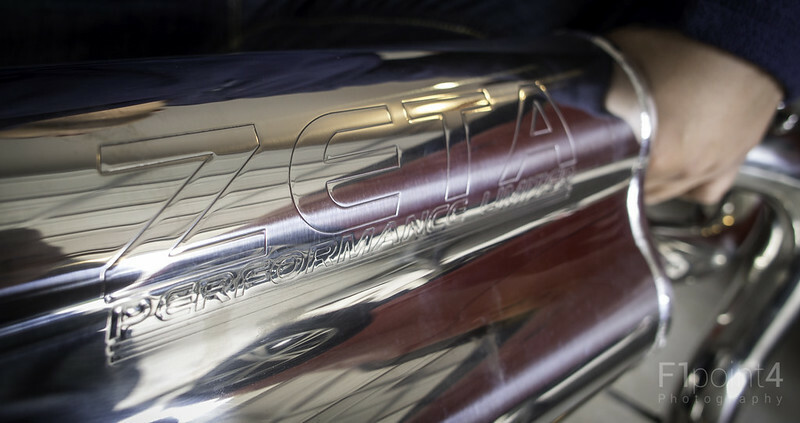 The Zeta exhaust splits into two parts via the Y-pipe and feeds into a "dual" can style muffler. The muffler. 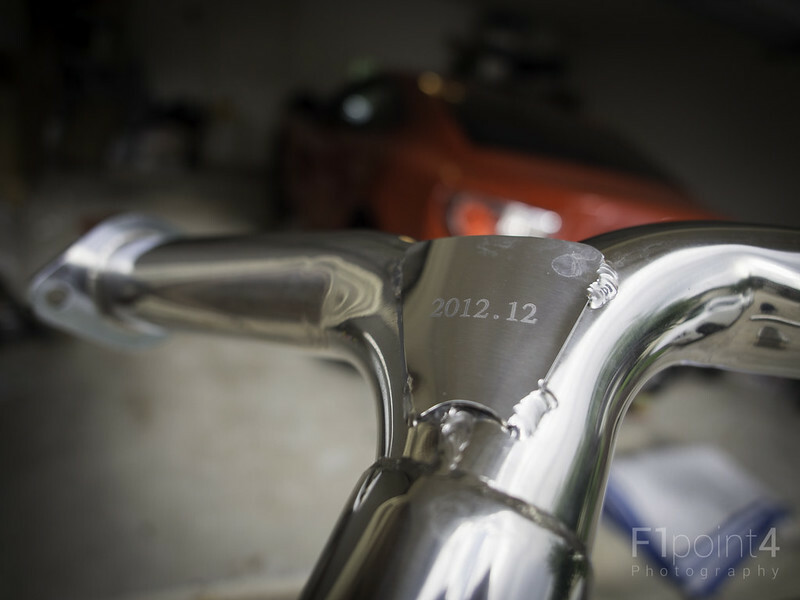 The entire exhaust is stainless steel. There are some big ol tips on this bad boy. I think @firestormriot said they were 4.5 inches. 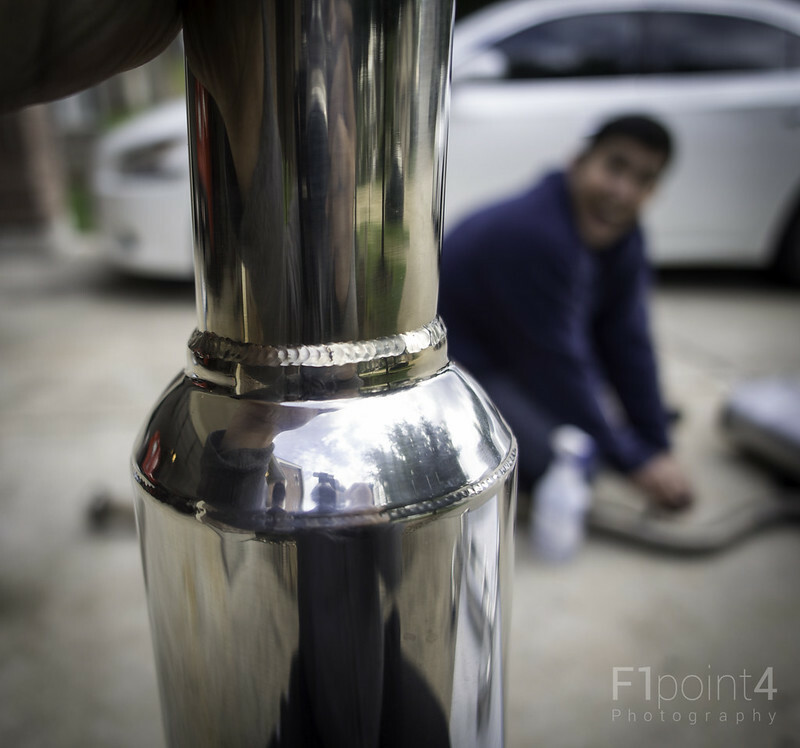 Final fitment on the car. Given that the entire exhaust has so many connection points, the fitment is bang on. We didn't have to fidget at all to get the alignment right. 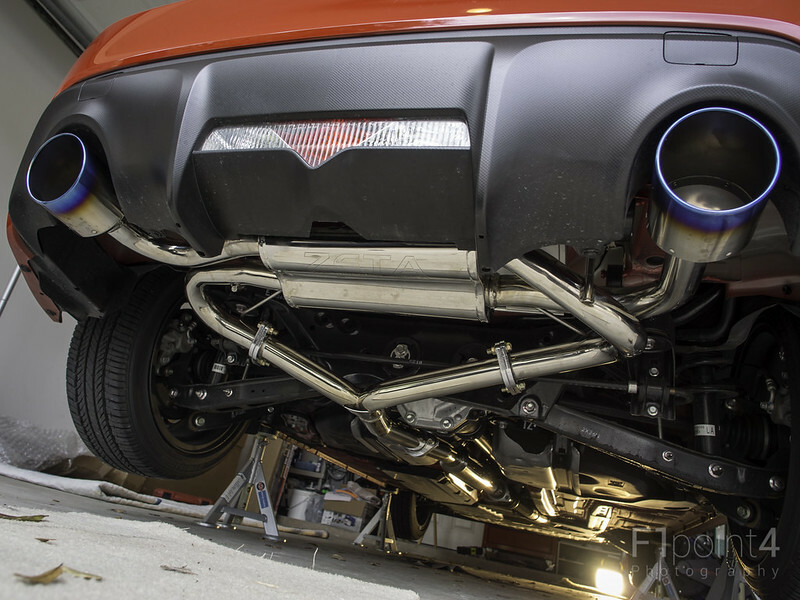 @firestormriot said Zeta test fits each exhaust to make sure it all fits together. + Fits an automatic gearbox so that is great. + It does have a deep tone. + I think it does its job well. Overall it was nice to be able to show someone new to cars how to mod it. I basically told him what tools he needed and told him what to do. I think he is very pleased with the way things came out. He'll update the first post with this detailed thoughts. With each review I strive to get better and better. This my first attempt at recording in car driving video. Let me know how I did. Last edited by F1point4; 04-22-2013 at 11:00 PM. 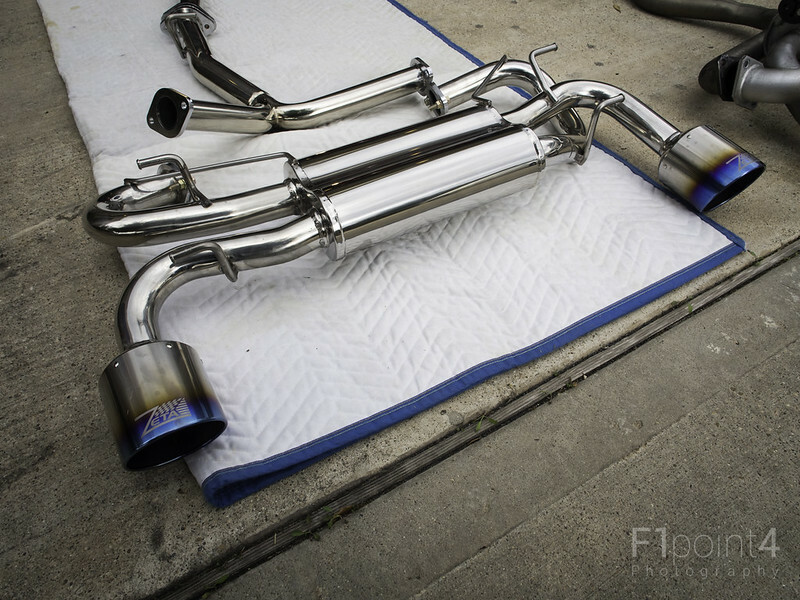 @firestormriot @F1point4 are you able to post some vid of the exhaust while driving?? ?...want to hear how it sounds. Love your work, @F1point4. Always so easy to see what you are working on. Nice and clean.. 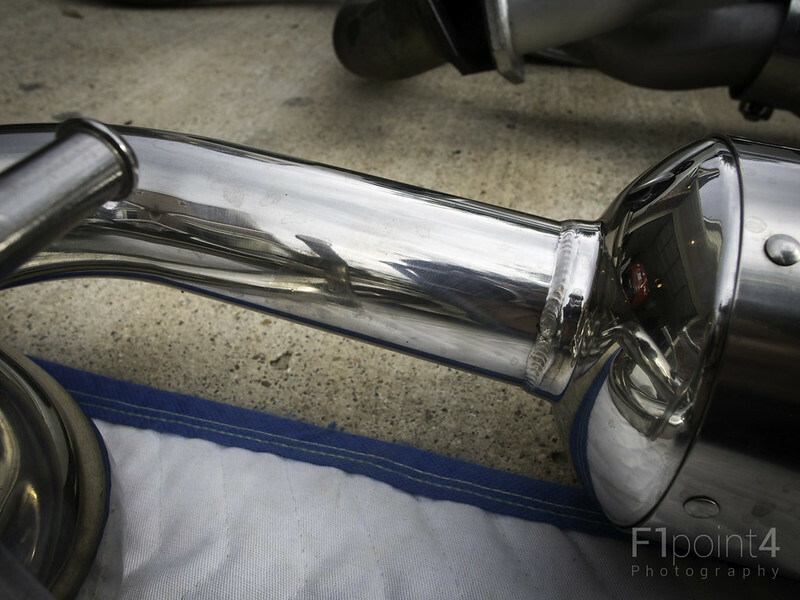 Looking for exhaust for mine.. I want something that's not loud when driving normal and something that growls when I open it up ..
that is what I am looking at too..
Yeah I'm not a fan of something that's loud when driving at normal rpm.. I'm sure it will annoy me if its loud... Its like them civic fart cans.. Loud AF but going slow..
Can't wait for the video upload.. 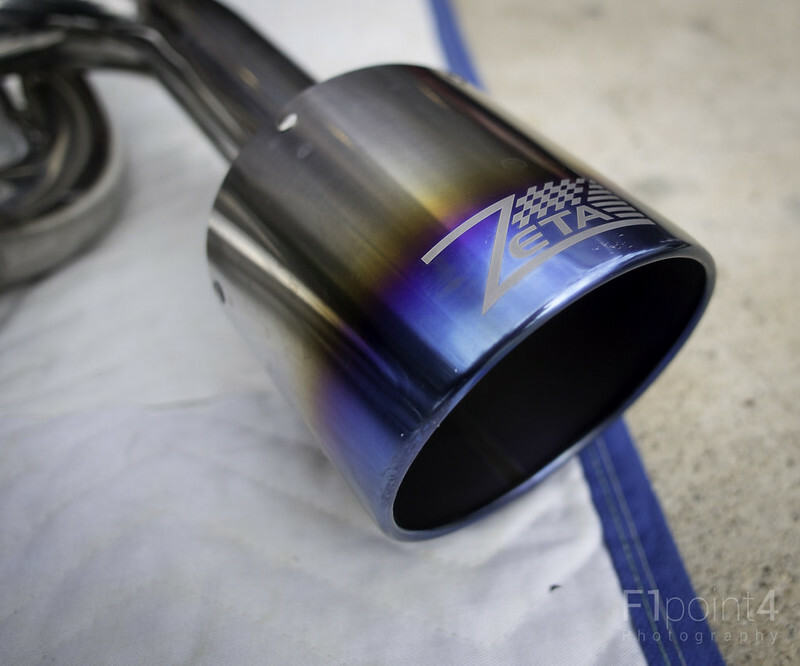 I've always thought that Zeta exhaust was VERY good-looking! Nice write up and thanks for taking the time to share! Honestly I'm surprised that it still came out slightly lighter than stock. I would have thought it would have been heavier. Yea man..on other hand, I was looking into the Nameless Axleback exhaust too. Heard lots good things about Nameless over the forum. Hmm, great pics and install, but that exhaust just doesn't do it for me. So many unnecessary bends and twists. Exhaust seems like a great spot to cut weight out on the car and this is not the ticket for that. Also, the exhaust tips are blue, not sure what happened there? Is the single tube diameter 2.37"? That seems like the stock size, am I correct? interested in the sound clip as well. 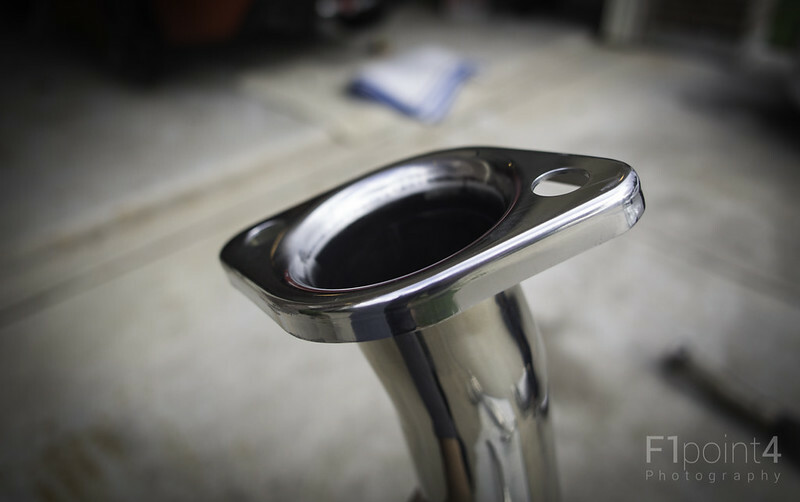 The exhaust tips are blue because this exhaust has the titanium tips on there. The 2.37 diameter is for the front pipe. Not exactly sure what the stock size is.